Lukas Josef Podolski is a professional footballer from Germany. 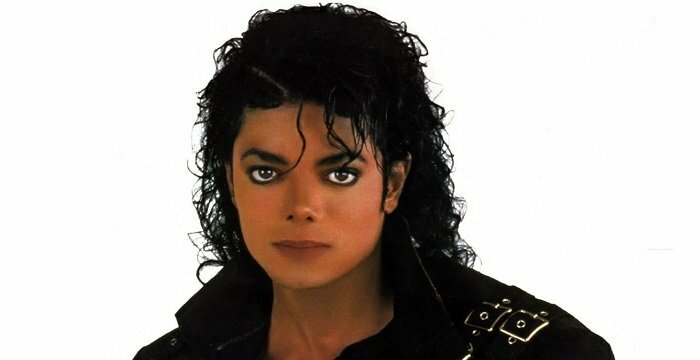 Read this biography to know his birthday, childhood, achievements, family life and other fun facts about him. Lukas Josef Podolski is a professional footballer from Germany, who is known for his powerful left kick and explosive attack. The young athlete was noticed even before he turned 18 and joined 1. FC Köln. After hitting several impressive goals in over 81 games for the club, he moved to Bayern Munich. He scored his first team title under Bayern after winning the Bundesliga and DFB-Pokal double. He returned to Köln for a brief period and finally moved to play for Arsenal. Under Arsenal, Podolski thrived, scored, and consistently performed. He also managed to help his club win the FA Cup in 2014. After his stint with Arsenal, he played for Inter Milan and Galatasaray, before joining Vissel Kobe as a forward. He won several accolades in his international career, starting with World Cup's Best Young Player in 2006. Later, he was part of the German team that won the 2014 FIFA World Cup. Podolski announced his retirement from international football in March 2017 and scored a goal in his final match against England. Since retirement, he has immersed himself in working for his foundation, acting as a brand ambassador for many charities, and running three businesses in Cologne, Germany. With over 130 caps, he is regarded among the best German footballers of recent times. Lukas Josef Podolski was born on June 4, 1985 in Gliwice, Poland to Waldemar and Krystyna Podolski. His mother is a former athlete who competed in national handball tournaments in Poland. In 1987, his family emigrated from Poland to Germany and became German citizens. He spent his early years in Bergheim and Pulheim. He became interested in football at a very young age and played for the youth team of FC 07 Bergheim. He later joined 1. FC Köln’s youth side in 1995 and was noticed by many managers. The team’s manager Marcel Koller invited him to join the training session meant for senior players. Podolski made his senior debut in November 2003. By the end of the season, he had scored 10 goals in 19 matches, the highest by an 18-year-old during that time. Lukas Podolski stayed with 1. FC Köln for the 2004-2005 season despite receiving many offers from other clubs. He continued to perform well and scored 24 goals that year. In the next season, he tried to keep his club afloat by scoring 12 goals. In the 2006-2007 season, he transferred to Bayern Munich for €10 million and made his debut for the team on 11 August 2006. He scored his first goal for the club later in October but missed many matches owing to an ankle injury. 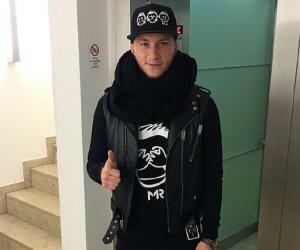 After returning from his injury, he immediately scored a goal against Alemannia Aachen. Bayern ended the season by winning a league and cup double, which became Podolski’s first major career trophy. 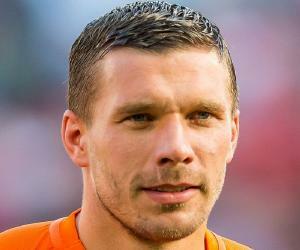 However, the new coach Ottmar Hitzfeld's preferences resulted in reduced play time for Podolski, who decided to return to Köln in July 2009 with a 4-year-contract. His first season back at Köln was not so remarkable, as he scored only thrice. In the 2010-2011 season, he scored 13 goals and touched his 50th career goal. In his last season (2011-2012) for Köln, he had 18 goals to his name. In 2012, it was announced that Podolski was signed by Arsenal. He made his debut as a gunner against Sunderland on August 18, 2012. Among various goals he scored for the team, he is most remembered for helping Arsenal qualify in the top 16 of the Champions League by scoring a second goal against Montpellier. He continued the season with impressive performances and assists; later shifting his position as a center forward. He ended his debut season for Arsenal with 16 goals and 11 assists. In the 2013-2014 season, he started appearing in the first lineup. The team, however, didn’t perform well at European League or the Premier League. Later, the team managed to win the FA Cup, and Podolski had another coveted achievement to his credit. 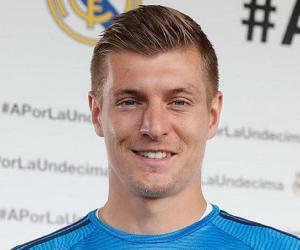 In the 2014-2015 season, owing to lack to game time, he moved to Inter Milan on loan. He managed to score his lone goal for the team at a crucial stage against Udinese in April 2015 and helped them win the match. 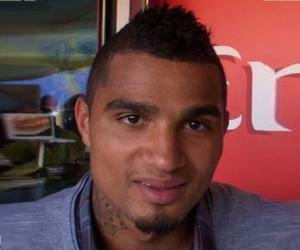 He signed up with Galatasaray, a Turkish club, for the next season. He helped the team win the Turkish Super Cup by scoring a goal against Fenerbahçe in the finals on May 26, 2016. He stayed with the club for another season before switching to Vissel Kobe, a Japanese club, for the 2017 season and continues to play for them until today. 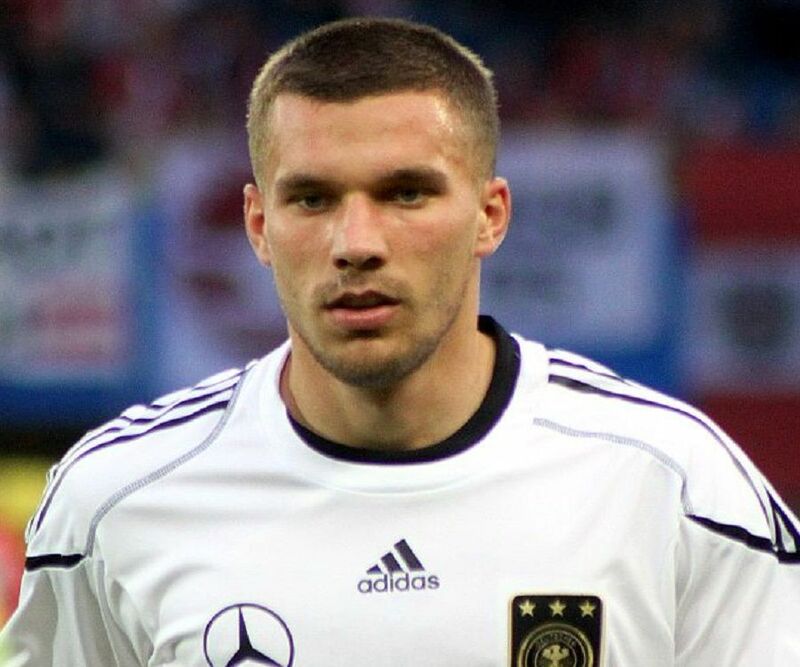 Though Lukas Podolski holds a dual citizenship (Poland and Germany), he always played for the German national team. Polish managers showed an interest only after he was selected in the German team. He made his debut for Germany against Hungary in June 2004. 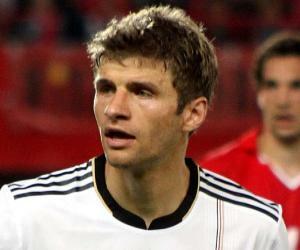 At Euro 2004, he was the youngest German player. Despite the hullabaloo over his appearance, he only played as a substitute in one match against the Czech Republic. In the 2006 World Cup, Podolski scored three goals and was named the World Cup's Best Young Player for his impressive attack early in the matches. During Euro 2008, he scored four goals in a qualifying match and later continued to impress with equal gusto throughout the series. In a match against Cyprus, he was voted the Man of the Match. Subsequently, he was named among the players of the tournament. In the 2010 World Cup, Podolski emerged as the second highest scorer for his group with six goals in the qualifiers. However, he struggled in the games in the later stages and Germany only managed to reach the semifinals, securing a third place in the tournament. During Euro 2012, he marked his 100th appearance for Germany. With tactful assists and three goals, he helped his country win the qualifiers. The team, unfortunately, lost in the semifinals. In the 2014 World Cup, he played in the qualifiers and group stages. However, in the main matches, he rarely played the entirety of the matches. Germany went on to win the championships after a series of shocking victories and Podolski’s game was praised as well. He was included in the squad to play in the UEFA Euro in 2016, and appeared in a game as a substitute. He then announced his retirement from international football, effective from March 23, 2017. He stated that he wanted to spend more time with his family. His last international appearance for Germany was on March 22, 2017 against England. He went on to score the winning goal of the match and sealed his exit with style. Apart from playing football, Lukas Podolski is also an active philanthropist. He is the founder of the Lukas Podolski Foundation for Sport and Education. The organization aims to improve the condition of the socially disadvantaged in the hope to achieving universal inclusion and integration. He opened his kebab shop called Mangal Döner in Cologne in January 2018. Over 1000 fans queued up to taste his delicious kebabs on the opening day. Prior to this, he opened an ice cream store called Ice Cream United in 2017 in the same area. He also owns a clothing brand. Among his many achievements, Lukas Podolski’s biggest career highlight can be considered when Germany won the World Cup title in 2014 after defeating Argentina. He was also named the Young Player of the Year in his first World Cup appearance in 2006. Lukas Podolski is currently married to Monika Puchalski. The duo had been dating for a long time before tying the knot in April 2011 in Cologne, Germany. The couple has a son, Louis Gabriel Podolski, and a daughter, Maya Podolski. When Lukas Podolski had to arrange €1 million to reduce his transfer fee in 2009, he created a website where people could buy image pixels of him. Michael Schumacher reportedly purchased several pixels in order to support his club transfer.